Why am I still a fan of this team? If you had asked me this morning, that Kristaps Porzingis was NOT going to be a Knick by 4 PM today, I would have said you are DRUNK and should grab a water but here we are. This is the DUMBEST trade by the Knicks. I have NO idea what they are doing other than SHEDDING cap space to make room for TWO Maximum Deals this offseason. This trade was all for AIR because the cap space means NOTHING until they are able to sign BIG free agents. Which they have NOT done EVER in franchise history. LeBron did NOT come here, Kevin Durant held his meeting in Long Island but did NOT sign here. ALL hopes of the Knicks franchise now relies on some ping pong balls falling their way and Durant signing with them that is NOT going to happen. Porzingis was the PRODIGAL son of the Knicks and the ENTIRE burden of the city was put on his shoulders when he was just NINETEEN years old. He showed FLASHES of greatness in his first TWO seasons as a Knickerbocker but he was NEVER able to stay healthy and has NOT played a game in a year as he is rehabbing from a TORN ACL and that injury was his LAST game as a Knick in Madison Square Garden. The expectations and HYPE around Porzingis turned him into a diva EVEN THOUGH he had NOT done anything in the NBA and that is the reason he is NOT a Knick anymore. He now goes to Dallas to play in the shadows of his mentor, Dirk Nowitzki and his BEST friend, Luka Doncic. 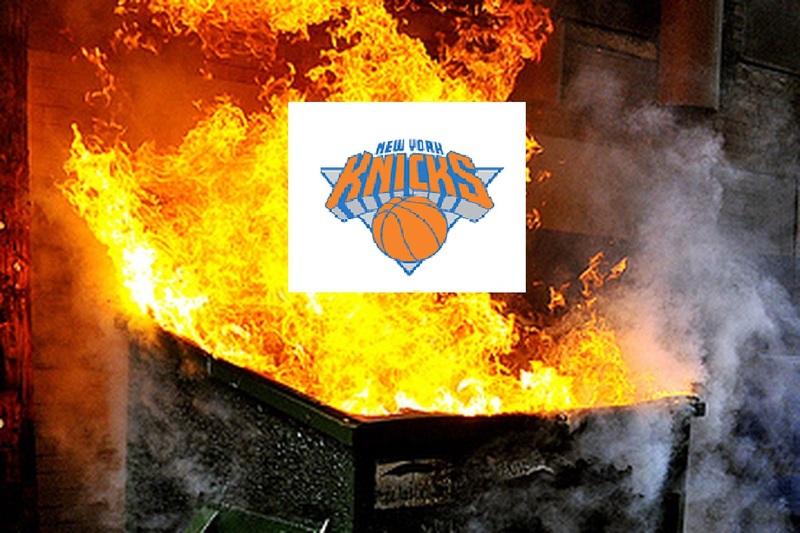 The Knicks are a DUMPSTER FIRE and they have been terrible with a TON of cap space with Tim Hardaway Jr. Today has been a DISASTER for the Knicks and we just have to HOPE that they finish with the WORST record in the NBA and get the TOP pick in the draft. I LOVED Porzingis, he was the FIRST young player that I believed in since I moved to the US and I am SAD to see him gone but the way he has behaved in the last TWO years, he has NOBODY to BLAME other than himself. BOTH the Jets and the Knicks have a TON of cap space this offseason and that is what TURNS the page for the franchises? I HIGHLY DOUBT IT. Just CANCEL the team now. This is something that ALL Knicks fans should get behind.